All right, so the day was not exactly really eventful because I spent almost half of the day in the kitchen. Mom is sick and I am a very slow cook! But somehow, in between, I managed to cheer myself up. Sharing the same! Loved the first part of this one :). 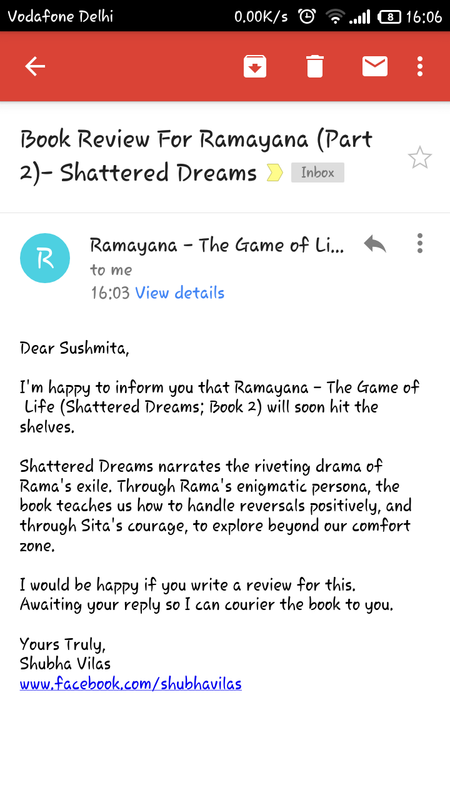 Got this mail too and hoping to read the 2nd one soon. He seems to have quite an interesting way to narrate the Ramayana :D.
The narrative is interesting, however the thought process behind it is pretty one sided. A typical mythological story telling, without any scope of alternate thinking approach for the readers.